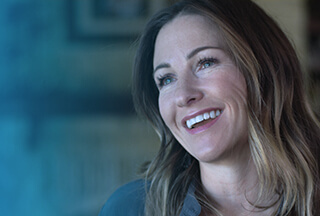 Technical Support Engineer 1, Enterprise Technical Support at Dell Inc.
Dell provides the technology that transforms the way we all work and live. But we are more than a technology company — we are a people company. We inspire, challenge and respect every one of our over 100,000 employees. We also provide them with unparalleled growth and development opportunities. We can’t wait for you to discover this for yourself as a Technical Support Engineer 1 on our Dell EMC Networking EnterpriseTechnical Supportteam in Chennai. The Network Support Engineer provides first-line technical support to Dell Networking customers on phone / email /chat. The engineer answers questions about installation, operation, customization, performance and usage of Dell Networking products. The engineer should have good knowledge in high speed networking and be well versed in competing technologies, competitive product features, configurations, and industry direction. Good knowledge on Routing and Switching . Good understanding of Wireless Networks. Other major vendor certifications are also desirable. Weekend shift and/Night Shift as required. BE/BTech with 2 years Technical Support Experience. Creative problem solving skills and dedication to seek problem resolution. Have the ability to work independently and also as a team to resolve problems. Good customer-relation skills and the ability to communicate intelligently and efficiently. Desire to learn new technologies, adapt leadership techniques, and implement networking best practices.